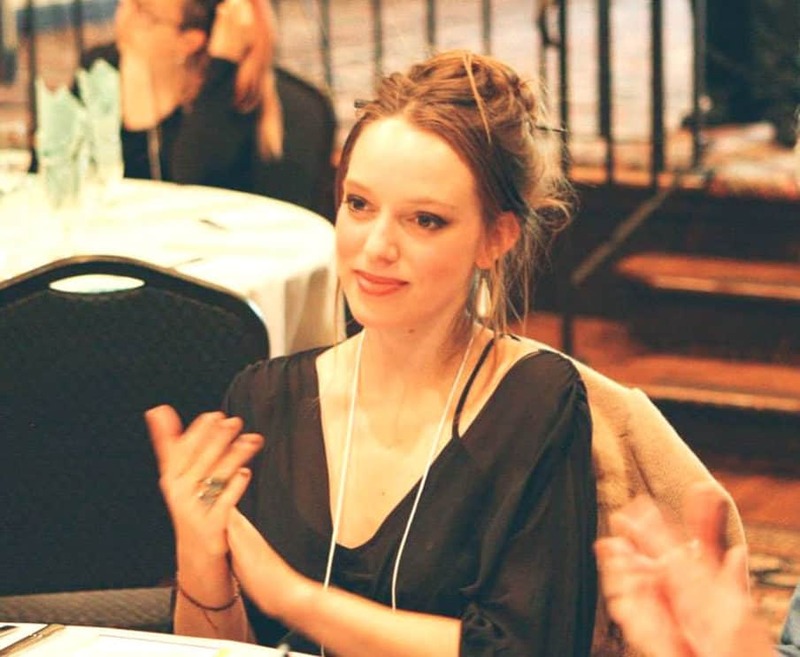 In 2012 Avery Hardy attended Sustainable Vocations, an interdisciplinary program for youth developed and taught at Quail Springs which focuses on applying permaculture ethics and principles as they relate to ecological and social justice, community, and place-based culture. Click here for more information about Sustainable Vocations. Quail Springs: When and how did you first hear about Quail Springs? Avery Hardy: I first learned of Quail Springs through the vibrant permaculture community in Santa Barbara, which I found myself connected to as a young high schooler in town. Quail Springs had a reputation for doing experimental, results-oriented permaculture on a scale that far surpassed other farms or sustainability projects in the area. QS: What was your first experience of coming out to the land and what did it mean to you? AH: As a highschooler, I participated in the Sustainable Vocations summer permaculture design course, which gave me my first opportunity to visit and learn from the community at Quail Springs. I fell deeply and madly in love with the land on my first visit—I can still vividly remember walking up toward the old barn, Chloe’s ukulele music guiding us toward the heart of the commons. That summer was formative for me on many counts—socially, career-wise and academically, and spiritually. I connected to a group of peers, young mentors, and elders who shared my vibrant passion for land stewardship and permaculture; I felt my own earth-based spirituality bloom through long walks on the land and deep connection with community; and most formatively, I found resonant clarity about my life path and career vision. This first experience on the land was not only enriching but truly soul-shaking. Even for a young student of sustainability like me who had already “found her footing” in the broader permaculture community, my time on the land was deeply transformative. QS: Do you feel that your experience or experiences at Quail Springs have been formative? How? AH: My time at Quail Springs has been deeply formative on many counts; most powerfully it has deeply grounded me in my career path and research interests. As a young high school student I was sure I would pursue a climate change and ecology-oriented career path, but I found myself distressed at the absence in academia of many critical components: a foundational awareness of the sacred and inherent value of the natural world, a lack of focus on the preservation of and connection with our indigenous communities, and a distressing focus on technological “silver bullet” solutions to the climate crisis rather than on low-tech D.I.Y. solutions our grandparents may have used. I wanted to find viable low-tech interventions for sustainability that could meaningfully mitigate our disruption of Earth’s systems and the severity of climate change while also enriching our collective quality of life. At Quail Springs, I saw in practice the truth that there is no zero-sum game between living well and living simply. I saw that a critical analysis of our footprint on the land could yield multitudinous opportunities for working with, rather than against, nature, thus improving outcomes for all. I saw that while “nature bats last” in most communities, it was in fact possible to approach living together in a way that truly benefitted the natural world—with spirals of impact and inspiration that spread out long beyond Cuyama. The lived experiences and skillful mentoring of the Quail Springs community set me toward a path to pursue credible academic research in the realms of traditional ecological knowledge, evidence-based permaculture, and thoughtful land management in the age of climate change, which I have pursued as a student and young researcher at UC Berkeley. As I look toward pursuing a Ph.D in these fields, I envision weaving together the conversations in policy and academia around climate change mitigation with the lived wisdom from permaculture, indigenous land management, and wise tending of the wild. This research focus is wholly rooted in my six years of experience visiting Quail Springs, where I have turned often for both internal and scholarly inspiration, guidance, and recalibration. Unfortunately, the Ivory Tower has been behind the curve when it comes to valuing of working with, rather than against, the natural world; I have often found myself the sole person in the room advocating earth-based interventions for climate change mitigation, as the zeitgeist of the moment is very much focused on half-developed technological quick-fix technologies that carry extreme risks for our communities and our planets. I owe my deep commitment to ecological design to the lived reinforcement of permaculture practices and values that Quail Springs has offered to me and so many others. QS: What do you feel is different in your life today because of your experience here? AH: On a personal level, I treasure the time I get to spend at Quail Springs for the slowness, wisdom, and intentionality that the community brings into my life. The small pockets of time that I am able to spend on the land have acted as a powerful salve for my soul during times of much chaos and hopelessness for many of my generation. As a member of the Berkeley Student Cooperative, most recently as the landscape coordinator at Lothlorien Co-op (my 70-person vegan co-op in the Berkeley Student Co-op system), I have taken much of what I’ve learned—in particular, the permaculture design skills and the wisdom about fostering successful intentional communities—from Quail Springs and interwoven it into my community here to help move us toward deeper resilience. Avery is currently a student in the College of Natural Resources at UC Berkeley, where she’ll be graduating in May. She’s also the landscape coordinator at Lothlorien Co-op.